Join Slot Planet Casino and get $€10 no deposit bonus cash to play any of your favourite games including Vikings™ the latest branded video slot powered by Netent. You will also get 10 bonus spins to play on either Planet of the Apes or Warlords Crystals of power also powered by Netent. The no deposit offer is not available for players residing in the United Kingdom. Canadian players can claim the no deposit bonus offer but are not eligible for the bonus spins. Make a minimum deposit of $€20 and get a 100% match deposit bonus up to $€555! This offer has expired – Click here to see the new welcome offer at Slot Planet! 20 Happy Spins on Aloha – 100% up to $€100 + 170 Spins on Vikings™! Challenge your way to gain the sympathy of Odin the God of all Gods and join Cashmio to get the most of spins on your first deposit! At Cashmio you will get 20 Happy Spins to play on the popular Netent video slot Aloha Cluster Pays! To celebrate the release of Vikings™ video slot Cashmio is offering a fantastic welcome package for new players. Make a minimum deposit of €20 to get a 100% match deposit bonus up to €100 + 100 spins on Vikings™ and get an extra 70 spins to get an extra chance to go to Valhalla! Bonus: x25 wagering on bonus + x25 wagering on deposit related to bonus within 14 days. Spins: 45x wagering within 14 days. Min. deposit €20, Skrill, Neteller & Paysafe excluded. €5 max bet during bonus wagering. Click here to join Cashmio and join the Vikings in their quest! Get up to 50 Free Spins – No Wagering Requirements! Join PlayOjo casino and make your first deposit to get up to 50 wagerless free spins + 30 extra spins! For every 1 euro deposited you will get 1 spin on Book of Dead, the popular video slot powered by Play’n Go! 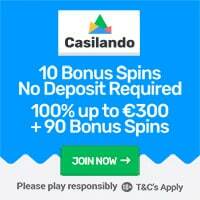 So make a deposit of €50 to get a total of 80 spins! All winnings deriving from the free spins will be credited in real cash! 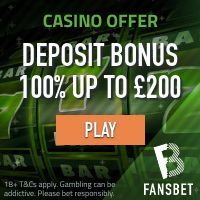 Click here to join PlayOjo – The Fair Casino!